"Movement - 33" - this is a voluntary action of local activists and lawyers, aimed at raising public awareness about the role of access to information in the resolution of local problems. Event title comes from the content of Article 33 of the Constitution of the Kyrgyz Republic. Which reflects the guarantee for each person and / or a citizen to free access to information on the activities of the state bodies, local government bodies and their officials, legal entities with state participation, as well as organizations financed from the republican and local budgets. October 10, 2014 Precedent Partner Group share "Movement - 33" in four cities of our country: in Bishkek, Osh, Naryn, Talas and Karakol. Action started 8 October 2014 in Batken, and October 9, 2014 in Jalalabad. It held from 10:00 to 15:00 in all central areas of all regional centers of Kyrgyzstan. Organizers of the rally and representatives of community media centers tells the inhabitants of all the regional centers of Kyrgyzstan on existing guarantees access to information and the means of exercising the right to allow to influence to the public decisions. 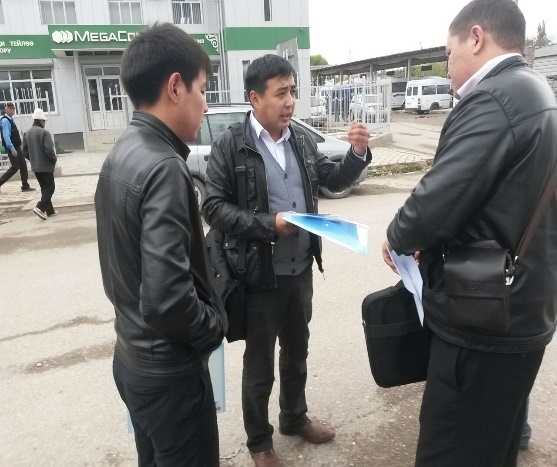 During interviews with residents, activists distribute brochures with detailed algorithm of the right of access to information held by public bodies and local authorities. Action organized within the project "Operationalizing Good Governance for Social Justice," which was launched in October 2011 and carried out within 36 months up to October 2014. 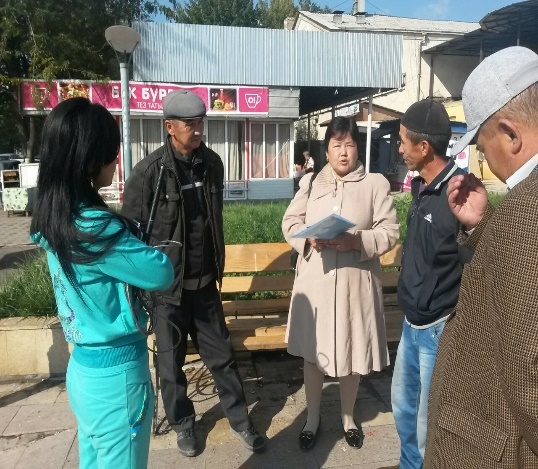 The project aims to increase the potential for the realization of legitimate rights of citizens regarding public services, especially for vulnerable groups - women, youth and children in 30 rural municipalities in seven regions of Kyrgyzstan. This project is implemented by UNDP, UNICEF, UN Women and UNESCO. The European Union participates in the financing of this project, together with the above-mentioned UN agencies.